Our final round of community workshops is complete and we’ve posted all four presentations on-line. Please come and see a presentation on the future route of the Brooklyn Waterfront Greenway. The meeting will be held November 2nd, at Borough Hall from 6:30 to 8:30. Refreshments will be provided. Please come and give us your opinions. Please come and see a presentation on the future route of the Brooklyn Waterfront Greenway. The meeting will be held October 25th, at Brooklyn Brewery from 7:30 to 9:30. Refreshments will be provided. Please come and give us your opinions. 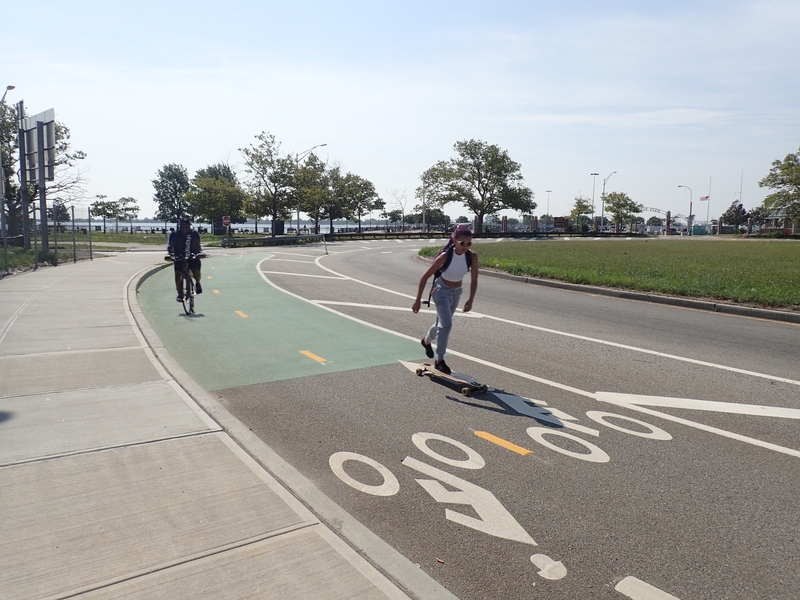 Please come and see a presentation on the future route of the Brooklyn Waterfront Greenway. The meeting will be held Tuesday, October 18th, at St. Michael’s Church from 6:30 to 8:30. Refreshments will be provided. Please come and give us your opinions. Join artist Almond Zigmund to paint her design onto 800 feet of barrier Saturday, October 22ndbetween 10 am and 4 pm. Meet at the corner of Williamsburg Street West and Flushing Avenue at 10 am to participate in the day. Please come and see a presentation on the future route of the Brooklyn Waterfront Greenway tonight. The meeting will be held tonight, October 11th, at Long Island College Hospital from 6:30 to 8:30. Refreshments will be provided. Please come and give us your opinions.